My first job was working as a sales advisor on the footwear department at River Island. I spent two years at River Island and a further two years at Topman, whilst I studied for my degree at university. At university I headed up the Chartered Institute of Marketing student chapter, where we were responsible for raising awareness of the Chartered Institute of Marketing through social and public events. It is here that I built on my interest in events and from this point I worked hard to achieve my first events role at THORPE PARK. 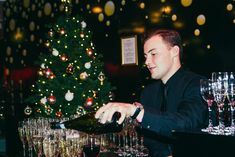 Since then I have worked within conferencing at a hotel in Chessington World of Adventures and at Heatherden Hall at Pinewood Studios before joining the Merlin Events team in London. My role as Marketing and Events Manager is to manage, plan and budget for Merlin Events London. 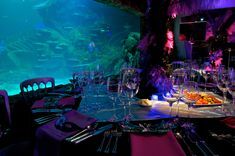 As part of my role I also plan and deliver all promotional and commercial events including the famous SEALIFE After Dark. I still work with corporate clients to deliver their events at our venues. I work with them in all areas of the event from catering to AV within their chosen venue. I also support sales showrounds to showcase our spaces to new and existing clients. We have a very busy phone line which I help to man. It is not uncommon to have calls unrelated to events come through on this line, and sometimes we feel like we are an operator for London tourist information. Whilst I worked as an event sales manager at Pinewood Studios, I was approached by ‘The Voice’ production team on site to work with them to deliver their season two wrap party. Meeting the contestants and judges made this a very interesting and memorable event! I have always had an interest in live music and entertainment so why not work for AEG, an event company that specialises in that! I would like to be the Prime Minister (it’s always good to aim high!) as I would love to be able to make a positive impact on lots of people about the things I am passionate about.